Hello friends, how are you today? I want to share information about Motorola Gleam. 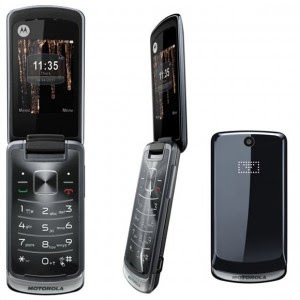 Motorola Gleam is a GSM cell phone clamshell design. I personally like the clamshell design mobile phone. Motorola Gleam have shape like a folding variant, with a wide screen that is 2.4 inches. Motorola Gleam uses the GSM 900/1800. This phone has dimensions of 106 x 53 x 13.9 mm. For the camera, Motorola Gleam have 2 Megapixel camera. One that I like from Motorola Gleam is its clamshell design. In addition, Motorola Gleam also features an FM radio, MP3 playback, video capture, WAP browser version 2.0, Bluetooth and video player. What about your friends, what do you like from Motorola Gleam ?